I think that this is 1970's. 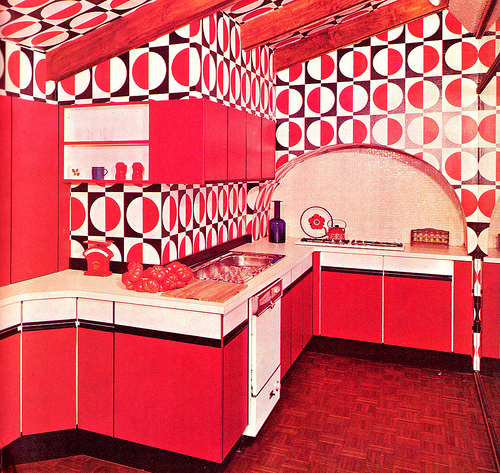 The kitchen units look 70's, although red is a bit of an unusual colour. I bought my first house in 1976 and this sort of thing was arround. Love the colour but there's way to much going in that kitchen me thinks!